When a “First Book” is Born – Rejoicing in Labor and Delivery! Are you a published author who knows the feeling of holding the first copy of your newest book? I remember the first time I held my first published book in my hands. It was in February of 2001. 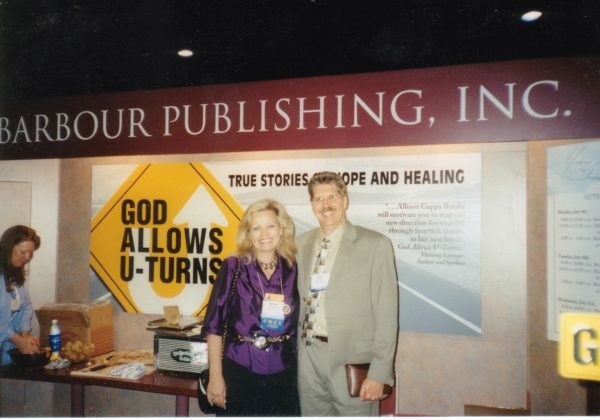 “God Allows U-Turns – True Stories of Hope and Healing” arrived in a simple padded envelope from my publisher, along with a lovely “congratulations” letter from Tim Martins, the new President and CEO of Barbour Publishing, and Greg Buick, the also new Vice President of Publishing for Promise Press–the imprint under which the God Allows U-Turns compilation series was being published. That debut book went on to become a series of 13 books that built the foundation of my writing and publishing career. A career that has introduced me to countless industry professionals and blessed me with long-time friendships with some of the most amazing authors of our time. Yet I can still recall that “first book” as though it was yesterday. Can you relate to that feeling? Without doubt, it’s a magical time…holding your first “book baby” in your hands. As a writer, I get that trepidation—and I pray it never goes away. It shows you still care. In my alternate role as a developmental editor, I’ve experienced the blessing of watching many first-time authors give birth to their “book babies,” and it’s a joy unlike any other. As of today, I’m in the final countdown with a first-time author who will be launching a brand-new website next week—in association with a pre-release book campaign in preparation of her September 6 “delivery date.” She is pregnant with passion, purpose, and yes…a little bit of panic as she enters this home stretch. If you know the feeling of giving birth to a book—be it your first or your latest—will you please share your experience, photos, and words of encouragement on my Facebook Page with Dr. Victoria Sarvadi, as she prepares for the release of her debut book? Let’s rally around this courageous woman whose first book is a powerful memoir that is going to grab you from page one and hang on to you until the end. Stay tuned to updates, announcements, and some exciting FLASH GIVE-AWAYS.